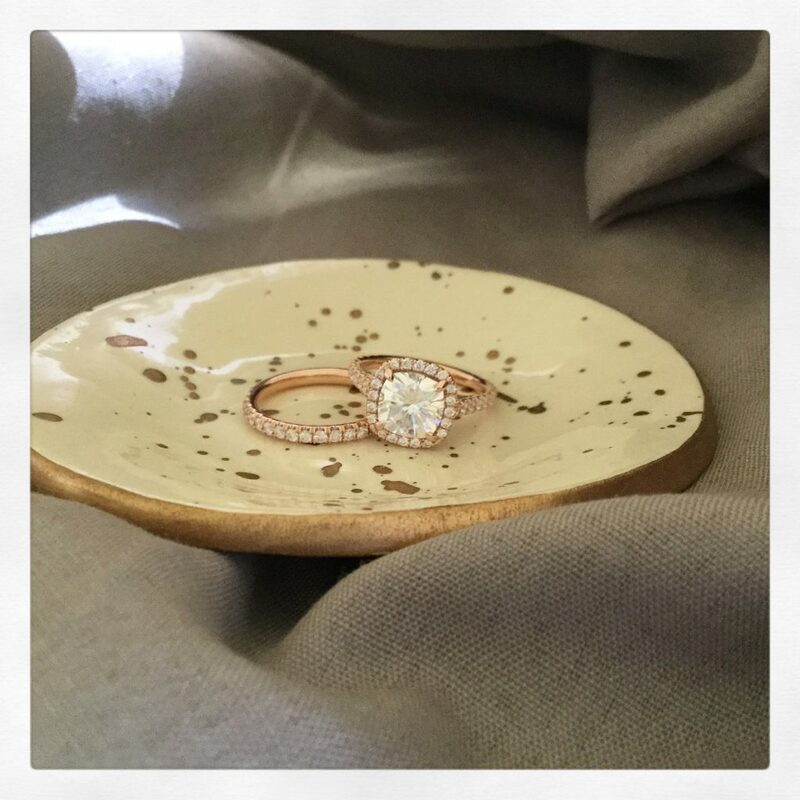 Too Short Prongs – If you notice one of your prongs appears slightly shorter than others, or its top seems to be more narrower than others, the security of your center stone may be at risk. Missing or Bent prongs – Get to a jeweler ASAP or ship it to us if you see with your naked eye that the prong is damaged or is no longer supporting the stone. If it’s bent, don’t try to bend it back yourself! Shifted Stone – If your center stone no longer sitting properly and making a rattling sound when tapped slightly, it indicates that the prongs are no longer holding the stone tight enough. Hand lotions, hair styling products and every day grime all leave enough of a film on your diamond ring to keep it from looking best. And if you wait too long between cleanings , those materials can accumulate into a thick layer of gunk on the back of your of your diamond, blocking the light and making it appear dull and lifeless. It also creates the space between the diamond(s) and a metal and can make the diamond(s) loose. If you noticed damage to your jewelry noted above or otherwise, get it to us as soon as possible. The sooner you will catch the problem , the easier and cheaper it will likely to be to have it fixed. Use a soft toothbrush to remove the dirt. “Soft” is a key–don’t use the brush with the bristles that are stiff enough to scratch the ring’s metal. Swish the ring around in the solution and then rinse it thoroughly in warm water. Dry the diamond ring with the lint free cloth. We want you to enjoy your jewelry for a lifetime. Therefore, we offer cleaning, polishing, prong-tightening and rhodium-plating services for all jewelry purchased from us. To ensure your jewelry remains in top condition, we recommend having it professionally checked at least once a year. If you have any concerns or questions about your jewelry, please call us at anytime, we would be happy to address any of them to our best ability.